The owners were very kind. The room was neat and clean. Appliances worked just fine. I would definitely stay here again. Where to find Redington Shores hotels near an airport? 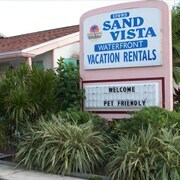 Where can I find hotels in Redington Shores that are near tourist attractions? If you are trying to decide where to spend the night in or around Redington Shores, there's a broad range of options to choose from. 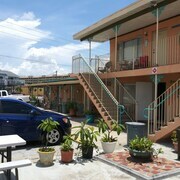 Expedia currently has 81 hotels within a 0.1-kilometre (0.06-mile) radius of the center of Redington Shores. 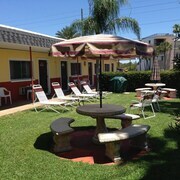 A key to trouble-free traveling is finding a convenient location to stay, so be sure to have a look at the Beach Cottages and Hotel Sol, all of which are within a 1-kilometre (0.6-mile) radius of Redington Shores' center. 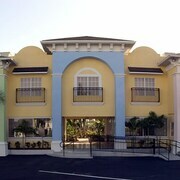 The Sandpearl Resort is situated 17 kilometres (11 miles) from the main part of Redington Shores. Or, alternatively, the Hyatt Regency Clearwater Beach Resort & Spa is 16 kilometres (10 miles) away. Other options in the area are the Loews Don CeSar Hotel and the Clearwater Beach Marriott Suites on Sand Key. After you have spent some time in Redington Shores, schedule in a little time visit the other natural and cultural attractions of the Tampa Bay area. Check out Tampa Bay's lighthouses or enjoy its beaches. Fun-loving travelers might also try hiking and shore fishing in this part of United States of America. Clearwater Beach is 16 kilometres (10 miles) to the north of Redington Shores and is home to the Sand Key Park and Pier 60 Park. The Hilton Clearwater Beach and Sheraton Sand Key Resort are a few of the Expedia-listed lodging alternatives in Clearwater Beach. 20 kilometres (12 miles) to the east of Redington Shores, you can also stay at Downtown St. Petersburg, home to the The Vinoy Renaissance St. Petersburg Resort & Golf Club and Hampton Inn & Suites St. Petersburg/Downtown. While in Downtown St. Petersburg, be sure to explore the American Stage Theatre Company and 400 Beach. If you are into sports and love watching local games you might choose to make a trip to Tropicana Field, which is 19 kilometres (12 miles) to the east of Redington Shores. For visitors who are interested in booking a bed nearby, make a reservation in the Courtyard by Marriott St. Petersburg Downtown or Hotel Indigo St Petersburg Downtown. If you are flying into or out of St. Petersburg-Clearwater International Airport and choose to stay nearby try St. Petersburg Marriott Clearwater or Hilton St. Petersburg Carillon Park. What are the most popular Redington Shores hotels? Are there hotels in other cities near Redington Shores? 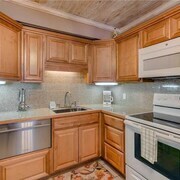 What other types of accommodations are available in Redington Shores? Explore Redington Shores with Expedia.ca’s Travel Guides to find the best flights, cars, holiday packages and more!